Examining the false crosses we often look up to, discover the truth of Jesus' sacrifice in Justin Welby's 2017 Lent book. Want to thoughtfully relate faith with fincance? Each year the Archbishop of Canterbury chooses a religious author to write his Lent book, for which he provides the foreword. This year however Archbishop Justin Welby will write the book himself, constituting his first major book project. In Dethroning Mammon, Archbishop Justin asks the question 'On what cross will we be crucified? The Cross of Christ - the cross of wood - or the Cross of Mammon - the cross of gold?' The former leads to new life, the latter leads finally to death. Following the Gospels towards the Easter story, this book asks the reader what it means to put away the cross of gold, to dethrone Mammon in the values and priorities of our society and in our own lives, and through Lent to come to a new place of trust in the abundance and grace of God. And as this Book is undated, as well as relevant to the financial climate at hand, Dethroning Mammon is a appropriate read for any time of year. Not only Lent. Dethroning Mammon by Justin Welby was published by Bloomsbury Publishing PLC in December 2016 and is our 2817th best seller. 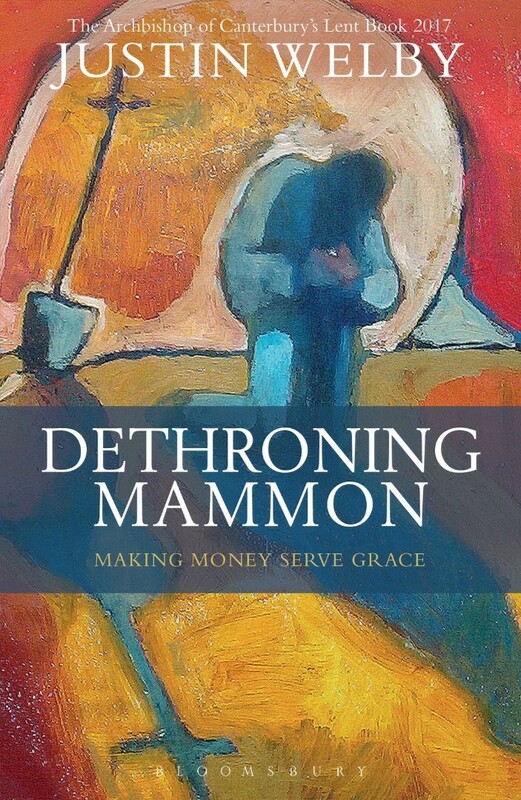 The ISBN for Dethroning Mammon is 9781472929778. Be the first to review Dethroning Mammon! Take a peek at some articles related to Dethroning Mammon. Got a question? No problem! Just click here to ask us about Dethroning Mammon. Clutching in his hands a portable microphone, and wearing a richly dark suit, his hair slicked back in a single motion, one man of notorious reputation confidently walks to the front of the crowded room. Silence eats up space. Sweat litters every surface of the cavernous room as this lone man speaks to his audience. From him comes mantra that not only defines his own successes, but the system as a whole - 'greed, for lack of a better word, is good'. More than just a tagline to Oliver Stone's iconic satirical drama Wall Street, 'Greed is Good' has grown in the minds of the wealthy, the up-and-coming, and the already-there. But it is no longer 1987. We have all witnessed the pain cause by insatiable greed at the utmost levels. Repossession. Redundancies. Recession. The driving miseries of our age are the fruit of Mammon. Mammon: noun, wealth regarded as an evil influence or object of false worship. However, decrying greed and mammon is neither a difficult task, nor does it require any particular knowledge of economic systems or financial climates to be able to point it out and cry injustice. We have all felt the sting of another's greed at some point in our lives. Which beggars the question: why Justin Welby, the Archbishop of Canterbury, going against the Lent tradition of the past few years, decided to write the Lent book for 2017 himself? And about something with which we are all sorely familiar, and detest? It is because, as evidenced by both his life and this new book of his, he knows. Before entering the clergy, Justin Welby was an oil man. Working for French oil company Elf Aquitaine, and then becoming the treasurer for Enterprise Oil PLC, he is a man who has spent a career amongst the wealthy and the powerful. He speaks from a privileged position of experience, and it is from the observations and connection in this life that gives Justin Welby the authority to explore Mammon in its systematic, as well as personal, influences. Dethroning Mammon walks through the revolutionary acts in Lent. Those instances where, much as today, the coiling norms of a materialist system are broken by the dethroning of mammon, and the re-throning of Christ. Lazarus' resurrection, Zaccheaus' offering up of his home, Mary anointing Jesus' feet, and Jesus washing the feet of his very own disciples: all of these show up the hidden influences of Mammon though breaking them. Picking apart how we see value, measure wealth (both material and on others), hold possessions and give them away, Dethroning Mammon proves itself to be a hopeful book. It doesn't merely despair at the endemic greed choking the world. It celebrates the abundance that re-throning Jesus in mammons' stead brings. It's a guide to a better life. It shows just how revolutionary, how remarkable, it is to not only say the words, but to live a life, which proclaims that greed, for lack of a better word, is bad.